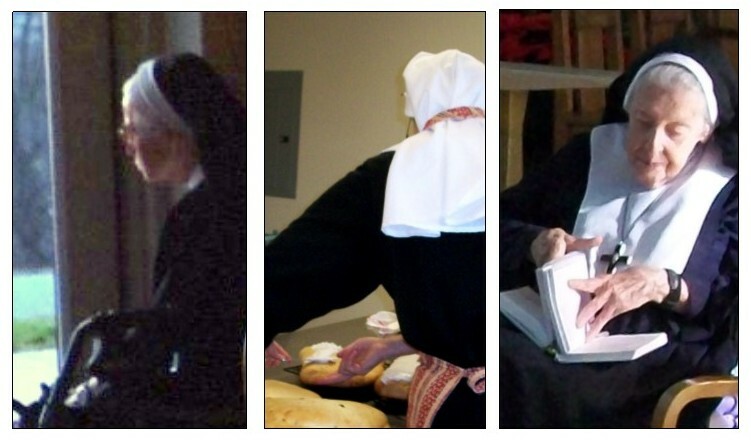 Our ministries have changed many times over the years. Our current call is the same as it was over a hundred years ago — to offer sanctuary for people who need healing and encouragement to find God, to grow in prayer and to share to some degree in our life. We welcome pilgrims looking to deepen their faith to walk with us for a time. Conducted retreats are offered periodically at the convent in Greenwich, generally open to about ten to fifteen guests. Guest space is available on a first-come, first served basis for private, self-conducted retreats, providing a quiet place for silence and recollection set within the daily round of the sisters' chanted prayers and rural farm life. Guests staying at the convent may join the sisters in silent meals or, if involved in programs at Christ the King Center, take meals there. The Sister's convent is set within 100 acres of farm, pasturage and woodland, adjacent to Christ the King Center's 500+ acres of hiking trails, visitor amenities and a 38 acre canoe/swimming lake. Over 20,000 books are available for guests at the convent library and CtK's Barry House. Christ the King Center also offers healing services and other ministry which may be incorporated into a retreat. Other pilgrimage destinations in the area include the New Skete Orthodox monastery in Cambridge, NY, the Carthusian Visitor Center at Mt. Equinox, Arlington, VT, and Weston Priory in Vermont. The sisters in both Greenwich and Luwinga go out occasionally to preach, lead retreats, and offer programs on spirituality, as well as to speak about the Religious Life within our Anglican tradition and about vocation in the Community of St. Mary. Our Sisters at St. Mary's Convent in Greenwich, NY, work in conjunction with Christ the King Spiritual Life Center in ministry for the equipping and maturing of Christian disciples, specifically through the St. Mary's Institute of Christian Studies, Summer Internships for college-aged women draw young women into the Sisters' Benedictine style of a life based in prayer, manual work and study. The Sisters use St. Mary's on-the-Hill farm, with its prize-winning cashmere goats, as a common ground and outreach within their local rural community and beyond. Art and fiber arts are also part of the work of the Sisters, with sales through their Scriptorium and Gift Shop. 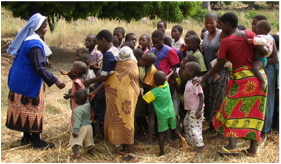 The Sisters of St. Mary in Luwinga reach out through St. Teresa's Orphan Care, which provides for the needs of up to 150 orphan children living in their local community. In 2015 the Sisters dedicated the new Holy Innocents Nursery school which provides early intervention programs to pre-school children in their neighborhood. Other works include a Guest House, a farm, and a tailoring shop which produces vestments and clergy attire. For the Sisters of St. Mary, Benedictine spirituality is grounded less in particular exterior forms than it is a whole life lived communally before God in a balance of prayer, work and study. Our lives are formed after the principle of lex orandi, lex credendi -- committed to the daily reception of Holy Eucharist and the recitation and chanting of the Divine Offices. The Sisters also embrace a sense of the longevity of monastic sharing of truth and familial love in community, embracing time-tested behaviors and group interactions that lead to Christian maturity. The important word is ‘zeal,’ meaning the intensity of living into a love that is both glowing ardor and chaste dedication to Christ alone with no sense of self-actualization. It is in losing our life that we find it. This leads to the distinctive character of a sanctuary where hospitality is the natural expression of the interior fervor of the members.